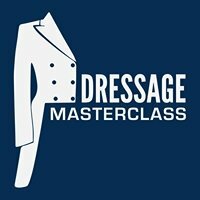 The 2018 Dressage Masterclass is on at the Sydney International Equestrian Centre in December! Pony Club NSW members are invited to attend as a volunteer (over 16) or a spectator for a discounted price! Find out more here! The Dressage Masterclass needs volunteers! Check out the Volunteer application form in the Downloads section below - Volunteers need to be of 16yrs or older, be available from 10am (briefing) till 10pm that night. They will have plenty of breaks, get to do some shopping and refreshments are provided along the way for them, they also get to watch all the classes! Also attached is a discount ticket for NSW pony club members. The Director of this event was once a pony club member herself and is happy to extend an offer to the grass roots of the equestrian community.